Anyway, the tub is between two walls that are begging for a large piece of artwork (and maybe a mirror on the other?) but I haven't been sure what to put there because the room is pretty "damp" and a lot of art can't handle that environment. that fish scale art is pretty amazing. oh its gonna be so good!!! thats a pretty amazing DIY! So lush! love this - let us know how the DIY turns out! Something is fishy around here...I suspect someone has been cutting paper again! 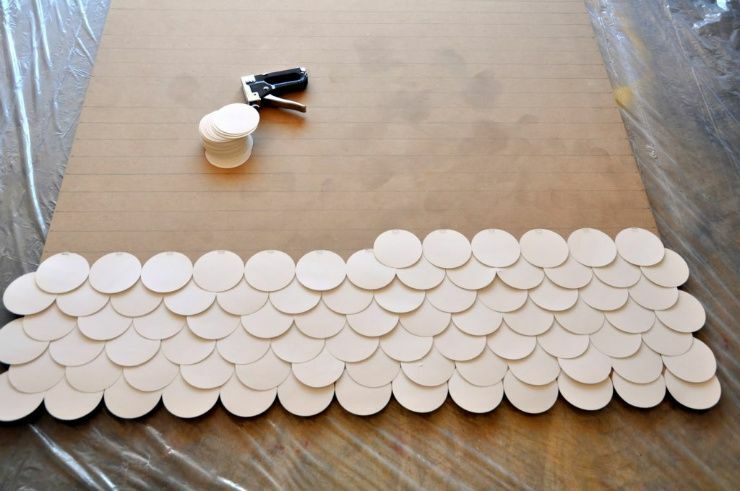 oh wow, HUGE thanks for showing of my Fish Scale Wall Art!! I am shocked!!!! Many, many thanks!! 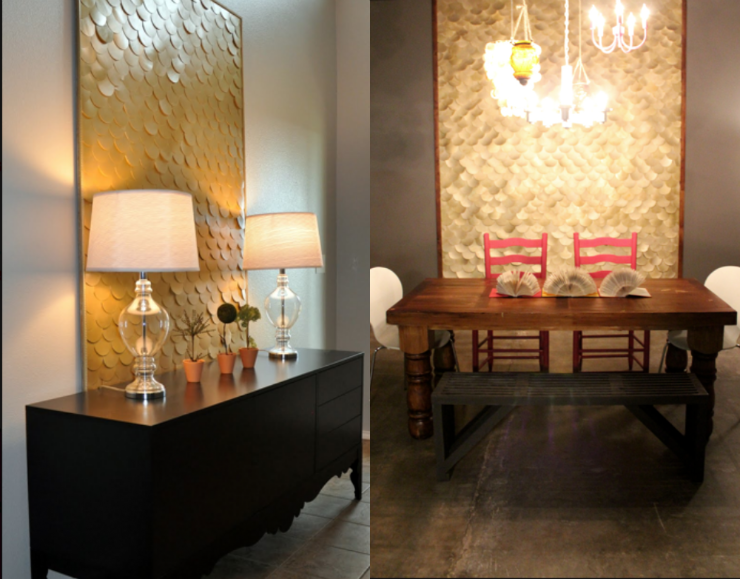 Guh - LOVE the fish scale. Are you going to show all your steps when you're finished? Can't wait to see it!!! How big is the piece you're making? the hyperlink for the necklace is not there. do you know where it is from? I love it and a perfect solution for a new client of mine. Thanks love! wow!! how great! i have been contemplating painting a pair of chairs i have gold...i think i might just go through with it after this post! 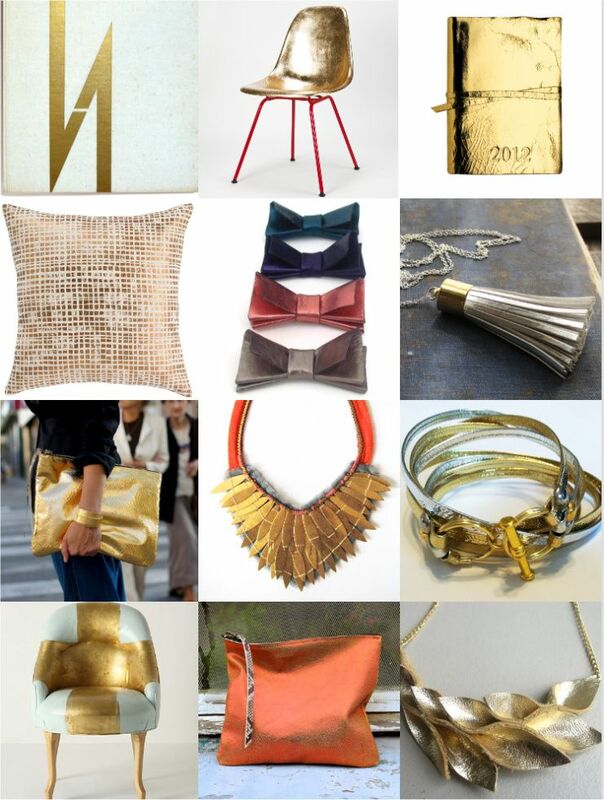 i love the warmth of gold...especially with grays and neutrals. can't wait to see your awesome project when it's done! Looking forward to seeing your version. Very cool! Would it be terribly greedy of me to say that I want one of....everything! Beautiful finds. suzy, I am so sorry bit I do not know where the necklace is from. I found it on Piterest which led me to a dead end....so sorry. I think the necklace is Lizzie Fortunato. DIY fish scarlet art is just awesome, I love it. Sometimes I love to make changes on my house. I have found a few mobile apps to help me in that work.